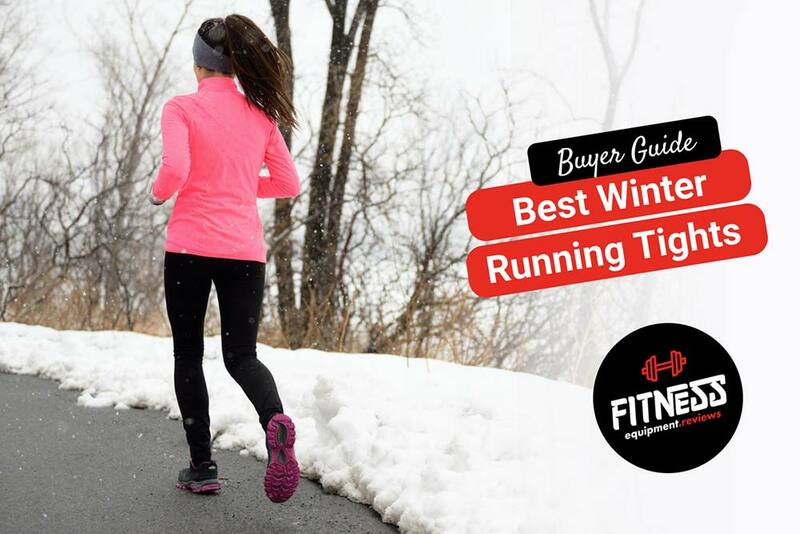 11 Best Winter Running Tights 2019 - Detailed Reviews & Buyers Guide! Serious runners know that no matter the weather, getting a few miles in regularly is important in maintaining form, stamina and to make steady progress. During the winter, wearing the proper gear can make runs comfortable and it easier to maintain pace and distance. Winter running tights are a staple to stay warm and be able to move freely. Covering legs with exercise friendly pants or tights helps to protect the skin from harsh winter conditions such as wind, rain or snow. Winter running tights can be worn underneath clothes or by themselves depending on your needs, comfort and the temperature. Different winter conditions in various parts of the world mean that your needs for cold protection will vary. In especially cold conditions, thermal tights help to keep body heat close to the skin even while running outdoors. Other places have more mild climates that require lighter fabrics. This list of winter running tights for men includes options that are appropriate for runners in different climates. This list contains compression and regular tights. Some purported benefits of compression running tights is that it is therapeutic to the muscles and skin while running. The skin tight fit is supposed to help boost circulation and this might help runners to stay warm during the wintertime. Cold weather compression pants have a soft brushed inner layer that provides a way for the body to stay warmer and to lock in body temperature. The first two types of running tights are for the runner who wants a well known brand trusted by athletes of all kinds. These are best sellers for a reason– the quality and dependability of these tights mean that you’ll get a quality product designed with athletes in mind. Some runners in colder temperatures rely on compression tights to deliver reliable and quality coverage during the winter. These tights are thought to help conserve body heat by hugging tight to the skin and supporting muscle movement. Compression tights help to reduce the movement of muscles and helps to prevent from losing body heat. Many popular tights for the winter are compression tight because it is a high tech way to help a pair of tights stand out as a pair that is great for running. Compression tights are good to wear as a base layer. Some may be thick enough to wear on their own, while others you can slip on under your favorite pair of running pants or shorts. 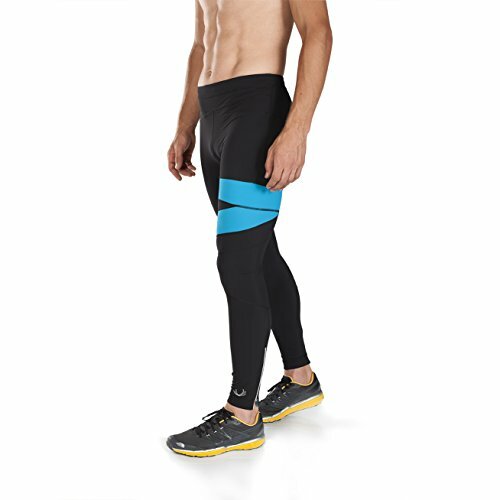 Compression pants are made to be able to replace thigh sleeves or calf sleeves. These make them ideal for the serious athlete that require extra support for increased endurance. Thermal tights are made for runners and athletes in the coldest temperatures. The fabrics are thicker and air flow is limited so body heat stays close to the body. Thermal tights make cold weather hikes, walks or runs more bearable and keeps the whole body warm. The North Face Warm Tights are designed to be a baselayer. They are warm tights that have moisture wicking properties that will help runners to stay cozy. A next to skin fit that isn’t skin tight makes these tights more comfortable for some runners. The elastic waistband is soft so you can focus on running, featuring the iconic North Face logo. These are designed for a low to medium intensity workout and activities in cold conditions. Another plus- they are made from anti-odor polyester knit fabric with FlashDry technology that helps to wick moisture from the skin and will help to speed drying time. They are also at a reasonable price point. The North Face Warm Tights are great for athletes of all activity and skill levels, and they are a good addition to any athletic wardrobe. For the ladies, the Compression Z tights are a highly rated and affordable compression designed tight that is suitable for running in winter. Stylish enough for everyday wear these tights are also a secret weapon when it comes to muscle recovery! As they are compression leggings you can rest assured that they will stay in place during even the most rigorous workouts and runs. Another thing is the fabric is moisture wicking and anti-itch. A similar fabric to spandex the material offers support yet doesn’t restrict movement. As compression tights are designed to be very fitting if you prefer a looser fit we recommend sizing up when you order. Affordable and available in 12 different colors why not purchase a couple of pairs to match different outfits! Compression Z tights are a quality set of tights at a very affordable price point. For the ladies looking for a solid pair of winter running tights consider these! You may, however, need to layer up in the very cold climates. 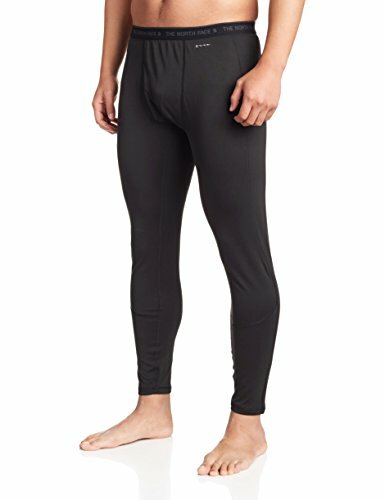 The Baleaf Men’s Outdoor Thermal Tights are made out of a soft fleece. They are cozy and can be worn on their own. Comfortable to be worn on their own they are also made out of a breathable and stretchy fabric that helps to wick the fabric away. These tights have a photo reflective element to help runners to be more visible in low visibility. Another feature of the Baleaf Men’s Outdoor Thermal Tight is the zippers at the bottom for easy on and off. These are versatile bottoms for many different outdoor sports. Photoreflective layer for more visibility early in the morning or late in the day. The Adidas Men’s Techfit Base Long Tights come in more than 14 colors. These can be worn with sports uniforms in the team colors, or in a favorite color. These are called the Techfit, and the fabric it is made out of is made with up to 50+ UV protection. It also has water wicking technology to help the runner to stay warmer by keeping the skin from being too wet from sweat. The waistband has the Techfit brand name printed on it, as well as the adidas logo, and the gusset is ergonomically designed for comfort. They are made to be compression tights and helps to support muscles and reduces muscle vibration. Adidas Men’s Techfit Base Long Tights are ideal for cool weather walks or runs. The Tesla Men’s Compression Pants are an affordable and quality pair of running tights that would be a reliable underlayer to help to conserve the body temperature. The fabric is soft and designed to be non abrasive. These tights are good for cooler temperatures, and they are available in an amazing 30 different colors. The manufacturer recommends to order one size up, because they are form fitting and to ensure a comfortable fit. Another feature of the fabric is that it protects your skin from harmful UV rays, with a UPF rating of 50+. The Tesla Men’s Compression Pants are designed for support, comfort and form fitting warmth. They offer full coverage and are available in different styles so you can dress in team colors or to match a uniform. Tesla Men’s Compression Pants are well suited for the runner looking for flexibility and versatility in their outdoor wear. The Under Armor Men’s Coldgear Armour Compression Leggings are a polyester and elastane blend. The dual layer fabric is a super warm brushed blend that holds in heat. With 4 way stretch techology, runners have increased comfort in every direction. This baselayer is made to fit like a second skin, and is supposed to be worn under a top layer. The gusset has a mesh design that can be more comfortable. Another benefit of these leggings are that they come in 7 different colors, so you can buy more than one and build your wardrobe. These leggings have anti odor technology and moisture wicking to increase the comfort and durability for an athlete. They are also fast drying. 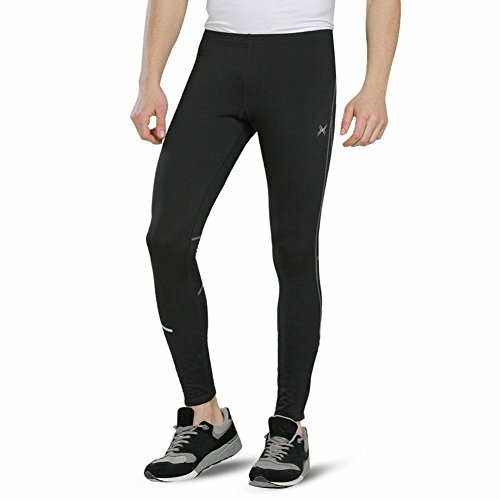 Under Armor Men’s Coldgear leggings are made to be a form fitting way for athletes to stay warm and can be worn for extended periods of time, while still being dry and comfortable to wear. The Asics essentials are a polyester and spandex blend. They are designed to be worn as an outer layer, and function well in outdoor running events. The bottoms of the pants have a zipper to make putting them on and taking them off much easier. Another design feature is that there is a back zippered pocket to hold car keys. Stretch taping has a tonal reflective print to help to increase visibility in low lighting positions. Brushed knit fabric holds body heat close to the body. There are other thermo regulation properties that made these ideal for winter running conditions. Asics essentials pants are a go to for daily runs and then doing errands – a great set of casual yet durable pants for laid back runners. Lightweight fabric with WINDSTOPPER front panels remains very light and easy to move in. Wind stopper fabric blocks wind without adding weight. Flat belt feels great, even under a pack. The Salomon Men’s Trail Runner Tights are a promising pair that are good for long wearing during runs or hikes. The stylish design grazes the legs and can be great for layering or worn on their on. Salomon Men’s Trail Runner Tights are designed to be worn as endurance leggings, with wind protection features. The front of the pants are wind blocking, and the back of them has a flat back that fits well under a pack. An external back pocket is also very handy for runs. Durable, the fabric of these pants are designed to last. Saloman are leaders in outdoor gear and these tights to not dissapoint. The overall design of the Salomon Men’s Trail Runner Tights is lightweight, and helps to cut the cold winter winds. Nike Mens Pro Hyperwarm pants feature an eye catching design complete with the Nike logo. They are available in 5 colors, and are made to be an underlayer for the coldest temperatures. With special engineering with an athlete’s needs in mind, they are both comfortable to wear and effective in keeping athletes of all kinds warm. It has a special moisture wicking design that can assist in keeping runners warm during vigorous runs or workouts. Joggers, walkers and runners will appreciate the comfortable and lightweight design. Nike Mens Pro Hyperwarm pants are for the athlete who want superior warmth in all conditions. Stays in Place - Perfect compression hugs just right so you don't need to readjust and includes a built in removable drawstring. Large Zipper pocket fits large phones, snack bars, keys or whatever else you need - hold tight with no bounce while you run. The BioSkin Men’s Running Tights have a form fitting compressive fabric that hugs the skin closely, making you unlikely to need to readjust them during long distance runs. These tights are unique and well made for devoted runners who are willing to take on colder temperatures. They include a pocket big enough to hold an iPhone 6 or keys, and zippers at the bottom to help make putting them on and off easier. The fabric is made to be durable, and even after repeated wears won’t pill or collect lint. The BioSkin Men’s Running Tights are for the runner who is on the go at work and while working out. HIGH-PERFORMANCE COMPRESSION - A blend of 85% nylon and 15% spandex and similar to our compression shorts, our compression fitness leggings for men offer moisture-wicking support for active lifestyles and help you with daily gym fitness, outdoor hiking, and sports such as golf, jogging, marathons, soccer, yoga, and baseball. Firm compression in our mens athletic pants enhances oxygen and circulation in the legs, reducing lactic acid buildup in muscles and allowing you perform at your peak! BOOST ATHLETIC PERFORMANCE - Our mens running pants help reduce muscle fatigue and soreness while performing any physical activity such as sprinting, squatting, lifting, bike riding. By providing proper compression across all muscle groups, our mens base layer can help prevent overexertion, stress and tension across your hips, thighs, shins and calves. They are great when worn as yoga pants, basketball tights, or running pants. FLEXIBLE, QUICK DRY DESIGN - Our form-fitting thermal tights baselayer dry quickly ensuring you produce less sweat and odors so you can stay confident in and outside the gym. Our custom design and silk-like feel are a second skin without the worry of possible irritation or chaffing on the insides of your thighs. Made with 4-way stretch fabric, our compression tights are highly absorbent and double as a rashguard, so you can keep your muscles warm while swimming or surfing. COLD WEATHER GEAR - Wherever adventure takes you, be it the deep snows for snowboarding or an early morning climb up your favorite hiking trail, our mens leggings are similar to thermal pants. They offer a bit of extra warmth with a base layer that fits under winter pants, hiking pants, or outdoor gear. Our thermals for men will keep you dry in the snow, are ideal for cold weather sports, and feel great under ski or snowboard pants. They are also a comfortable solution for itchy long johns. TRUSTED QUALITY & SATISFACTION - CompressionZ running tights and athletic wear is backed by superior durability, as well as unmatched customer service and a return policy you can rely on. Our mens pants come in a wide range of sizes to fit your specific body type. We suggest ordering one size up for a more relaxed fit, but refer to our sizing chart for details. The CompressionZ tights are made out of nylon and spandex. They’re made to allow a full range of motion for flexibility and comfort. Athletes of all kinds, including cyclists, basketball players or runners can protect their body from the elements during winter conditions. These affordable and high tech tights deliver quality coverage while warming up or running. They support healthy circulation and supports the body in staying warmer for longer. The CompressionZ Tights are for high performing athletes looking to perform well all year long. There are some key points runners should keep in mind while shopping for men’s running tights for winter. Depending on personal style, budget and weather concerns, different tights will be needed. Whether you plan on wearing them alone or under sweats or shorts, when comparing tights looks at characteristics like warmth, thickness, fabric and durability. 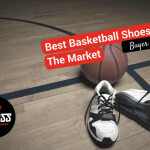 Other factors that will influence purchases are personal preferences like brands, color or breathability. Some runners like high tech tights while others are happy with simple ones. Be sure that the men’s running tights you choose are well fitting and something you like to wear. What temperature range you need depends on where you live and where you’ll be running. Some men’s winter running tights will be able to keep runners warm in temperatures of 19 degrees or lower. Others are more lightweight and designed with more porous fabric. These would need to be layered in order to provide optimal protection against winter jogging conditions. Know the average winter temperature for the time of year you’ll be jogging, and pick a pair that can help to protect your legs from even the chilliest winter temperatures. Pants that are waterproof will be able to keep you warmer if it is raining or snowing, and that is another important consideration. skin tight pants or ones with a little more give. From the fit, you can choose a fabric that is most comfortable. It depends on your metabolism and how sensitive your skin is to the cold, as well as general weatherproofing abilities. Thicker tights might be more ideal on especially cold days or shorter runs, while long distance runs in cooler temperatures might be better suited for thin tights. Personal preference and budget will decide the type of fabric that your ideal running tights will have. If you have a favorite color or color scheme, then the color of the fabric would be an important decision especially for a team color or running uniform. Some running tights are made out of synthetic fabric blends, including Spandex or rayon. Others use more natural fabrics so choose one that feels good against your skin. Cotton tights aren’t ideal on their own in the winter because they easily absorb moisture. The main materials are polyester and nylon, and polyester fabrics are more waterproof. Polyester and nylon are about 80 to 90 percent of the fabric, and the rest is elastene, spandex or Lycra. The durability of the fabric will help them to last a long time whether you’re walking or running. Finding a high tech fabric that is durable helps you to protect your investment and have a reliable pair of pants that can last for seasons. Many pairs have specialty weaves and wicking technology that work to provide a warm and reliable running experience. The durability of a pair of running tights can be tested before purchase and it depends on the make and type of fabric that the pants are made out of. Deciding on a pair of winter running pants depends on where you run, and the temperature or the time of day. Early morning or late day runners might invest in a pair of light reflecting running tights. Some tights are designed for multilayering or are available in brilliant colors to show team spirit. Others are versatile and made for cycling as well as running. If you need a pair that can double as an every day pair to wear to the grocery store, there are slim pants that are comfortable as well as warm. Winter running tights can add a lot to a runner’s personal wardrobe and helps them to perform optimally in every season and weather condition. Running through the winter requires the right gear - in particular tights! Read through these reviews before making your purchase.